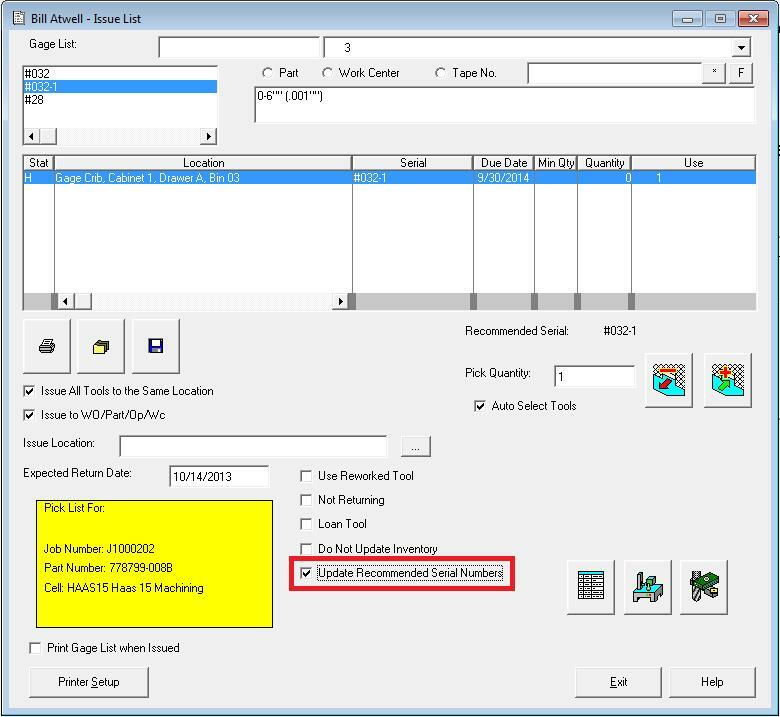 In the tool management software, ToolManager, users can assign serial numbers to the tools. Below is a step by step process of how to add serial numbers to search for or assign tools. This feature is located in the Tool, Fixture or Gage List within ToolManager -tool and crib management software program. How it works: When you create a tool, fixture or gage list in the tool management system -ToolManager, you assign the Tool ID to that list. When the list is issued out, the crib attendant needs to select the serial number of the tool you are actually issuing. If a tool has more than one serial number assigned to the crib, the attendant previously had to pick the serial number of each tool as the auto select feature would not work. ToolManager has a new feature that allows you to assign the serial numbers issued the first time as recommended serial numbers to the list. The next time the list is issued out, the system will auto select the recommended serial numbers. This means unless one or more of the recommend serial numbers is out, needs calibration or is at rework, the whole list will be auto selected and one click of the record button will issue all the tools. This will save the crib attendant a lot of time and improve communications with tool engineering by letting them assign the recommended serial number. 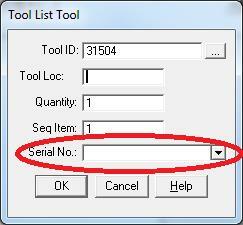 To begin, select the recommended serial number in Tool OPS and then click the “Modify” button. To auto select the recommended serial numbers, check the “ Update Recommended Serial Numbers” box. Pick the serial number you are issuing and click record.